Sol de Mallorca – halfway between Palma and Santa Ponsa – is reached via the roundabout of Magaluf followed by a short drive along a road lined with fields and forests on either side. A quiet residential area, which is still slumbering, but real estate purchasers regard it as an insider tip. In the 1960’s this urbanisation that stretches from the south towards the sea, attracted a lot of Arabs, who built large, Moorish style villas on the first and second line. This attracted developers, who, although initially were hesitant, built more villas and some apartment buildings. Finally, the Casino of Mallorca, with its very successful dinner and show opened. After the Arabs withdrew, seemingly having lost interest in their villas, Sol de Mallorca was no longer the first reference for those interested in buying property. This has changed somewhat in the last 20 years: the administrative district of Calvia, to which Sol de Mallorca belongs, took money, developed the urbanisation, built roads and created a modern infrastructure. In the meantime, modern apartment buildings have been built for Spanish and overseas interested parties, making Sol de Mallorca once again the focus of investor interest. What does Sol de Mallorca have to offer? The site of Mallorca’s original casino, which is now located in Palma, is abandoned. For some years now, there have been groups of investors who wanted to purchase the grounds for leisure facilities. One plan also included the area close to the small port of Portals Vells, thus creating an exclusive leisure area with a club. But that was just one of many plans. The current owners are apparently relaxed and are sitting out their price claims. Speaking of Portals Vells: this small, charming harbour belongs to the well-known "three-finger bay" with small sandy beaches. The beach in the middle is called "El Mago" and is highly popular among naturists. Two small restaurants offer fresh fish and tapas. In the centre of Sol de Mallorca there is only one, but highly recommended restaurant, Los Pinos, and a small supermarket "Marketplace". The property market in Sol de Mallorca is diverse. In the last few years some sophisticated, modern apartment complexes have emerged, "Floresta del Mar" being the first. In addition, there are also modern villas with beautifully landscaped grounds, and partial sea views and buyers are principally from overseas. If you prefer to build a house to your own specifications, Sol de Mallorca also offers building plots at affordable prices. The real estate offer in Sol de Mallorca is handled by Minkner & Partners’ main office in Santa Ponsa. If you are looking to buy an apartment, a villa or a building plot in Sol de Mallorca, please, contact the experts in Minkner & Partner. Jule Christensen has a keen sense of and expertise in construction that encompasses quality of materials and quality of execution. No wonder: Jule is a civil engineer. As she speaks many languages she is able to attend to Minkner & Partner’s international clientele. She grew up in Mallorca and has a Danish mother and a German father: German, English, Spanish, Catalan, Danish and many more. 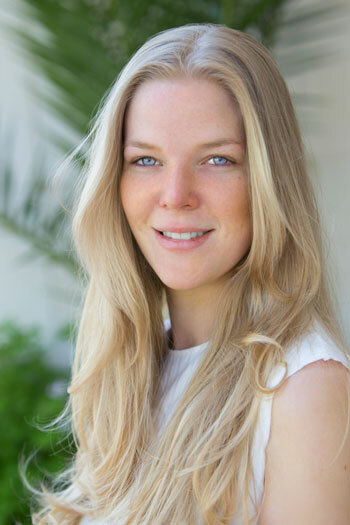 Jule works in the Minkner & Partner head office in Santa Ponsa which covers the southwest of the island from Palma to Pto. Andratx. You can reach Jule on +34 971 695 255 or send us an email. “Sol de Mallorca has been on the upswing over the past decade. International property developers have built attractive apartment complexes and charming villas – Mediterranean or avant-garde – with an array of colours, shapes and materials. However, there are still some building plots available at reasonable prices, thus offering the freedom to create an individual home according to the buyer’s wishes and dreams” says Jule, and continues ” Minkner & Partner has a good network of experienced, architects and if required we can put you in touch with them”. Do you own a property and want to sell it through Minkner & Partner? Then send us a message by clicking here.